When the labor pains start, just before delivery Puls. 200 or 1M one dose help her to get an easy delivery. This dose of Puls. given just before the delivery may help the lady to send out the placenta easily. Puls. corrects wrong position of the fetus in the womb. But this remedy should be given after the completion of nine months, not before that. Puls. in 30th potency, three times a day. PULSATILLA SHOULD NOT BE GIVEN TO A PREGNANT WOMEN. DURING 8th AND 9th MONTHS OF PREGNANCY. Caulophyllum is another important remedy for easy delivery. It is useful when there is want of the tenacity of the womb. During labor, when the pains are deficient; they may be spasmodic and severe; they do not press down ward but fly about in all directions and accomplish nothing except that they tire the patient out. 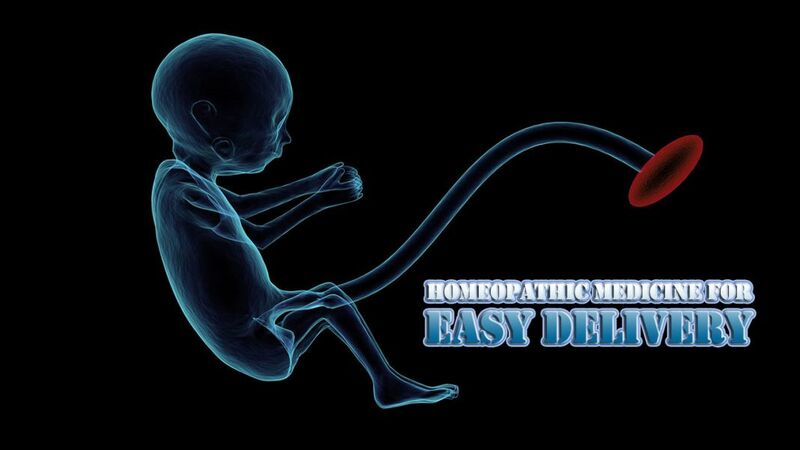 There have been cases where the pregnant lady has been prepared for caesarean delivery due to absence of labor pain, but when caulophyllum in 30th potency was administered to her every 15-20 minutes, she delivered a child normally.